Extensively used in fuel oils and petrol, our Solvent Blue 36 is known for its accurate composition and purity. 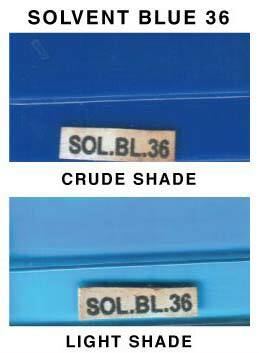 We are an established Manufacturer, Supplier and Exporter of Solvent Blue 36 from Maharashtra. To cater the bulk and urgent requirements of the buyers, we maintain a large stock of the Dyes in our spacious warehouse.